The past two years I've spent working. Working on my studies but also working on myself. It sounds cliche but I realised I need to find what makes me happy, I need to learn to love myself. 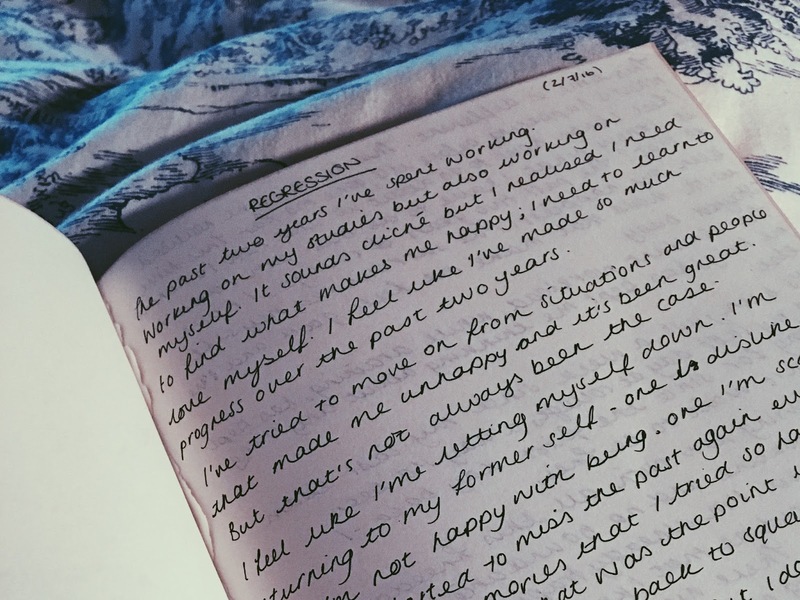 And I feel like I've made so much progress and I've documented so much on this here blog. I've tried to show my journey as I've tried to move on from situations and people that made me unhappy and I've loved sharing that with you. But I've not shared it all with you. Even now I weirdly feel like I'm letting you down. I'm starting to return to the former version of me; one I don't like, one I'm not happy with. I've started to miss how things used to be again as well as missing the people who I've felt I've said goodbye to you. Honestly, I'm pissed off with myself for doing this but,as much as I don't want it to be this way, I don't feel in control. I feel I'm controlled by another force that's dragging me back to a certain point because that's the way I should stay and anything other than that form of myself is not really me. But this time is different. This time, I've realised what's going on before it's gone too far. This time, I feel I know how to go about it and handle it. I know what I need to do but am I able to actually do that? The past two years at college, within myself, I've been the happiest I've been in a while and I think that's due to those I've surrounded myself with as well as staying busy. The constant workload, while draining, has stopped me from taking too much time to think about anything else. It's been just a fortnight since my last exam and I left college; a moment I've been waiting for since the first day back to finally be free. I'm realising now that with all this freedom, with no routine and no boundaries I almost feel trapped. I'm already trapped in an unhealthy routine that I know will be hard to shake again. There we are again! Knowing where I'm going wrong and not doing anything about it. It's pure laziness I can see that and yet I'm still not doing something about it. Maybe I just need to get on with it. Get up, get busy and get myself to that place I was content with instead of regressing to the old version of me that I know longer want to be faced with.